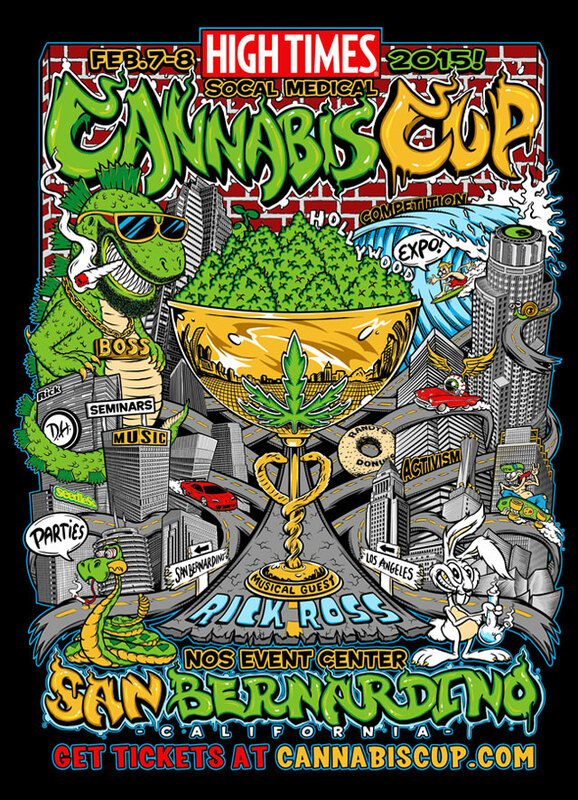 The Cannabis Cup is a two-day trade show/EXPO incorporating vendor booths in a main building with an extended outdoor component for additional vendor booths. Inside booths range from glassware and clothing to grow equipment and artwork. Inside also features three seminars per day either in a sectioned off area off the main floor or in a private "theater" like setting. The seminar topics include legalization regulations featuring California experts, current political issues, grow seminars with HIGH TIMES editors as well as a cooking seminar from our own Cannabis Cookbook author. The outdoor component is typically a fenced off area with privacy screening, not visible to the general public. Medicating (smoking) is allowed in this area for those with a valid medical card and a picture ID (for medical states). Visitors are wrist banded for entry. Security is posted to assure these regulations are followed. No selling or distributing of cannabis is allowed. There is Saturday night entertainment typically starting @ 8PM and lasting till @ 11PM. Either at the venue or in another venue if room does not allow. The entire event is protected by outside hired security. Every security company we're hired for these events has stated that we have the most polite and respectful attendees of any events they work (including sporting events, concerts etc.). This event is a celebratory and informational gathering for vendors and patients. Please note that as in San Francisco, the current laws of California necessitate that this event’s “medication area” be restricted to medical patients only.